EXCLUSIVE: MAMMOOTTY IN TWO TAMIL FILMS BACK TO BACK? As director Seenu Ramasamy’s Dharmadurai is gearing up for release, he is getting ready to work on his next film. When Behindwoods contacted the critically acclaimed director about his next film, he told “ I have narrated the story of my next film to Mammootty sir. My good friend and director, Ram introduced me to Mammootty and the narration went well. I am currently waiting for his confirmation. Once he gives the green signal, the works on the film will start.” This film is reportedly titled as ‘Sambho Mahadevo’. It can be noted that Mammootty is making a comeback to Kollywood with director Ram’s Peranbu along with Anjali. 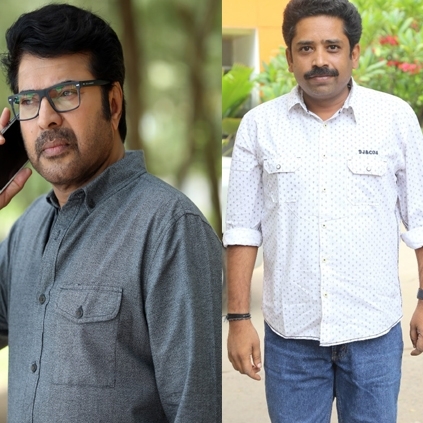 If he signs this Seenu Ramasamy’s film, it would be a treat for the audience to witness Mammootty in two Tamil films back to back after a long time. Kabali keeps Rajini's 25 year streak intact! Will Ranjith Direct Mohanlal Or Mammootty First? People looking for online information on Mammootty, Seenu ramasamy will find this news story useful.